A student offers her evening prayers in the Brock Hall interfaith centre. 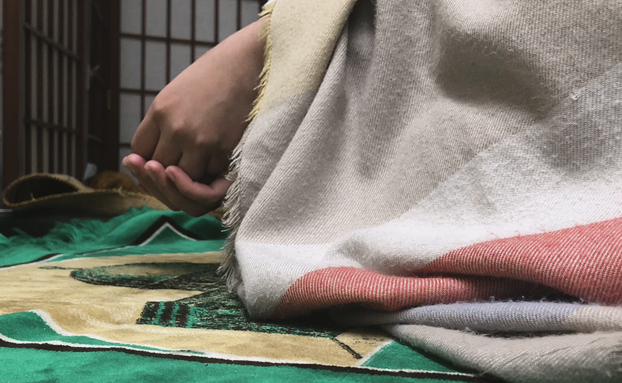 Although the University of British Columbia is known for its tolerant atmosphere, many Muslim students believe a lack of spaces for campus prayer has negatively affected their well-being. 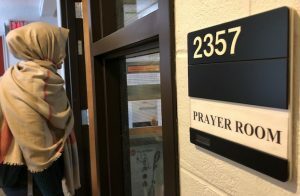 The Muslim Students Association has petitioned the administration for additional prayer spaces across UBC’s Point Grey campus, especially during exam season. At the moment, students have only one small space for their five daily prayers, the interfaith centre in Brock Hall. Repurposed in 2005, the prayer room itself raises concerns. The petition cited it as a safety hazard, as it is routinely overfilled during communal prayers and cannot hold its maximum capacity of 60 people. Lack of ventilation has also posed a significant health concern for students, and the location is especially inconvenient for most students to walk to in between classes. This is particularly difficult during exams, as Muslims studying late on campus must walk to Brock Hall in the dark for late prayers. Such is why Professor Maged Senbel, the liaison between the UBC chaplaincy and the MSA, met with the administration last Thursday to ask for smaller, more accessible prayer areas. He suggested libraries as a good fit for this purpose, similar to the makeshift prayer rooms offered prior to 2002 in the Irving K. Barber Learning Centre, then known as the Main Library. Student mental health, however, is a key issue for him. The interfaith centre is located in the Brock Hall annex and is accessible 24 hours a day. An ablution room is located on the ground floor for Muslim students. Still, the Muslim chaplain acknowledged UBC’s generosity towards the Muslim community. Several facilities have been provided – including an ablution room in Brock Hall, as well as the Marine Drive ballroom for Friday prayers, which are attended by 500 people weekly. The university has also addressed hate crimes against the MSA, temporarily relocating the interfaith centre after vandalism forced its closure, as well as upping security measures. Yet this does not reflect how many students feel about the university’s efforts to include religious minorities.